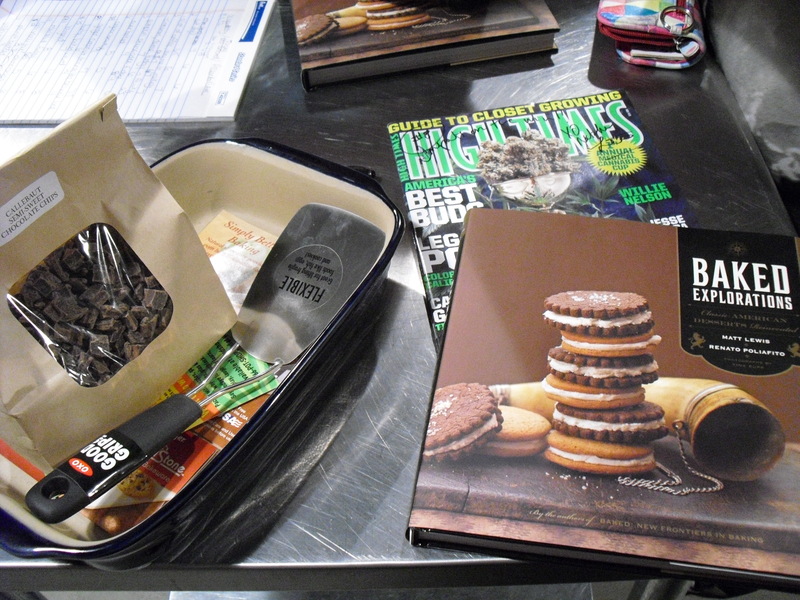 Tonight was a Brownie Bakeoff at The Brooklyn Kitchen, with Matt and Renaldo from Baked (in Red Hook.) They were two of the judges, along with Natasha from High Times (signed my magazine!) and Siobhan from Blondie and Brownie. I like Baked the store, and I have loved the recipes I’ve seen, and my oven just got fixed, so I decided to enter the brownie bakeoff. They were awesome. 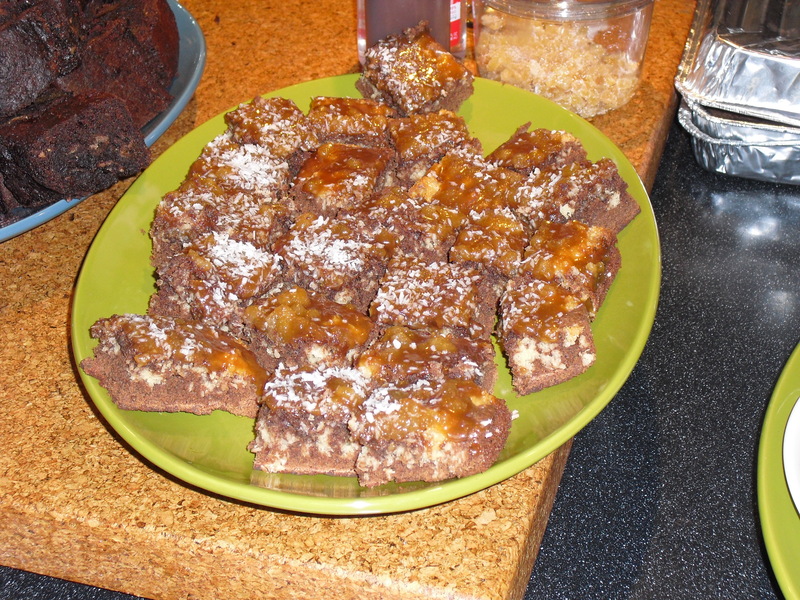 I used my Grandmother’s Brownie Recipe and added ginger and coconut. This was also my first time ever making caramel from scratch. A full recount of the recipe will be up soon. I also won 2nd place in the popular vote! Since the contest was a fundraiser for Greenpoint Reformed Church Hunger Program, the votes were $1 each. First place was won by someone who brought the most friends. It all was for a good cause, so I am glad that everyone came, had a good time, and contributed. With my win, I won a copy of Baked Explorations: Classic American Desserts Reinvented . This has been on my wishlist since I heard about it, and I am so excited to start baking from it! Congratulations! I so wish I could have come, but the temptation was too much to risk it. If you ever feel the need to come over and make a gluten-free version of those brownies, please do! !